Did you know that there are some very simple ways to generate electricity that won’t cost a fortune? All you have to do is to keep to the basics of using something that spins a magnet to induce a flow of electrons through a metal coil. In fact, if you focus on smaller scale designs and look around your home, you won’t believe how many junk items you have on hand that can easily generate 12 volts of electricity with just a little bit of modification. If you build one system at a time and harness them together, you are able to power an entire household. Have a look at 10 gadgets you have laying around right now that can be put to good use generating electricity! Since CDs are light weight and durable, they can act as a basis for spinning magnets in many different systems. CDs can be used to make Tesla Turbines that run on the flow of air or water. Just add magnets to either side of the turbine and make sure you have coils nearby that will produce electricity. CDs are also easy to cut into a number of shapes. They can be used to make small fan blades that will turn small motors into wind turbines. While you are looking at wind power systems, there are many new vertical blade, shell, and bladeless designs that are very efficient and will also work well for turning small motors. 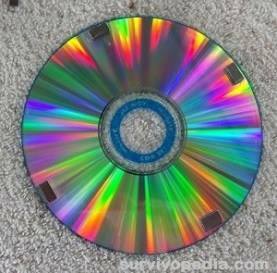 Since CDs are made from plastic, you can easily heat up parts of them to bend into different shapes as well as cut them into any form that you need. Whether you need to combine several CDs or use just one to complete your blade design, you will be starting with a flat, durable piece of material that can be altered easily enough. No matter what kind of electricity generating system you want to make, magnets are absolutely essential. If you don’t have magnets to mount on something that will spin, you won’t be able to induce electrons to flow through a coil of wire. Fortunately, there are many places where you can get magnets. This includes taking apart old motors that may no longer have usable coils, as well as many other electronic devices. You can also purchase magnets of all sizes and strengths and experiment with them to see which ones will give you the best performance with different kinds of equipment. If you are looking for a treasure trove of parts to use for generating electricity, just about any old circuit board will do. Make sure that you know the difference between AC and DC parts and keep them sorted out in your stockpile. Ceramic disc, electrolytic, or film capacitors, they can all be used to store up electricity in a circuit and help streamline the output of your system. You should also make it a point to look for variable capacitors since they can be very useful for testing and fine tuning your devices. Remember you can also make your own bottle capacitors. It may seem counter-intuitive, there are times when you will want to halt the flow of electricity through a circuit, or even redirect it. Resistors are very important for controlling the flow of electricity so that you can protect other parts of the circuit and achieve your goals. Very important for controlling the flow of electricity through a circuit. They are essential for building control circuits as well as for boosting electricity output. Capacitors can build up charges and discharge at predictable rates, but you may also need relays to trigger a change in a circuit path. You may not use them directly in generating power, but you’ll need relays as part of the interface that joins together diverse power generating sources so that you can run larger appliances or even your entire household. Overall, you may not think small device switches are worth saving. Maybe you won’t focus on larger sized devices, while the smaller ones may still be useful for smaller boards that need special control for one reason or another. Remember that safety is an important part of any power generating system. You should always be able to quickly, efficiently, and safely shut down any module in the system without harming yourself, the equipment, or anything attached to it. Switches are necessary for that purpose. As with switches, there is no way to substitute for well placed fuses on your circuit boards and within the power generating systems. Whether you make a mistake or a short occurs, fuses can truly save your life and also prevent your equipment from being ruined. Do not try to cut corners and bypass fuses or leave them out of your designs. Even though each board may have a specific purpose, you can still use the pathways to take the place of wires. Just make sure that you know how to cut into the board to block off pathways that you have no intention of using. If you do not have wires, but do have several small parts, this may be the most viable way to connect them together. Many modern computers have “solid state” drives, but you can still get old junk computer parts that include hard drives featuring motors and solid metal disks inside. Aside from being fun to take apart, they are also a treasure trove for anyone looking for parts to generate electricity with. The circuit board – there are many components that you will find useful. I wouldn’t personally recommend wasting time with the IC chips, but you could set them aside for other uses. The motor – old hard drive motors are designed to spin heavy metal disks for hours on end at very high speeds. If you can get a good running motor, you could find a way to reverse it so that it will put electricity out instead of use it. The metal plates – heavier plates are perfect for Tesla Turbines that will spin at higher speeds. They can also be stacked together and will not break apart as quickly as plastic CD versions. Overall, you will find that bicycles are some of the most common devices used to generate electricity. All you need to do is make them stationary, and then attach a motor that is capable of producing electricity. Video first seen on The Do It Yourself World. You can also use mini exercise bikes or anything else with pedals that work in the same way as bicycle pedals. Aside from using a motor, do not forget that you can also use pedals to turn CD based turbine blades or just about anything else you can attach a magnet to. Computer hard drives are just one kind of household appliance that offers motors that may be of use to you. Blenders, food processors, can openers, and many other devices can be used to generate electricity as long as you have something to spin them with. As with computer hard drive motors, you’ll also need to build rectifiers so that you can take the output and turn it into what you need to power other items. If the device in question also has a power board connected to the motor, you could use it as part of the power conversion system. When using appliance motors to generate electricity, remember how fast they normally spin, as well as the amount of load they can take. Some motors can rotate thousands of times per minute, others cannot. If you exceed this speed or try to put too much weight on the motor, you may burn it out or wear it out faster than expected. Even though you may have a large supply of motors on-hand, learn how to preserve them and avoid ruining them so that you can make them last as long as possible in a time of need. Whether you are looking at small battery powered fans or box sized fans, the motors and blades can be very useful for generating electricity. These motors are durable and designed to run for hours on end without overheating or needing maintenance. If you are looking for systems that will generate larger amounts of electricity at one time, then box fan motors will work much better than hard drives or small appliance motors. In addition, if you want a fast, easy way to get started with testing coils, a battery operated personal desk fan may be a good place. Just add some magnets to the blades, and then build your coils. Even though you will still need to power the fan with electricity, you can still use the blades to induce current in a coil. The simplest, and least efficient method is to burn the trash to produce heat. This includes turning paper into brick logs that will burn longer, and hopefully produce more heat. You can use the heat to produce steam, which in turn can be used to spin a conventional turbine. Heat can also be used to spin a rubber band engine, which in turn, can be used for spinning magnets. Depending on the type of trash, you can use it to make natural gas or methane, which can be used as fuel to power a generator. In this case, you would be using kitchen waste and other forms of organic scraps. While this method may be more efficient, do not forget you will also need to be able to store the gas. If you don’t want to burn organic trash, you can use it to make compost. This will produce lower temperatures, but still enough to generate electricity. In this case, you would be using the heat from the compost pile to power a thermoelectric generator. All you need is a material that generates electricity based on the difference in temperature on one side of the material versus the other. If you are curious about these materials, you may want to look at coffee pots such as the Power Pot and other camping equipment that use thermoelectric materials to generate electricity when they are heated up. Although a stirling engine is technically a thermoelectric engine, it does not always rely on using special materials to drive the engine. Instead, you can use compressed air generated by heat to run the engine. Video first seen on Kathryn Fourie. Small amounts of metal and whole hunks of metal from engines can be used to generate electricity. Get two different kinds of metal and bury them with attached wires. You can make small 12 volt cells in ice cube trays, or larger ones in your backyard. 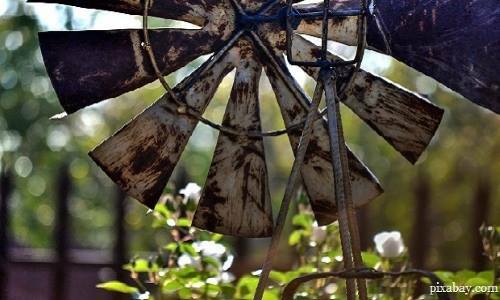 Scrap metal can also be fashioned into many other things. In fact, if you are successful in building small prototypes of different kinds of wind turbine blades, you’ll need to turn to metal fabrication to make larger designs that will be durable enough to withstand higher speeds. Seeing the voltmeter budge for the first time can be an amazing experience. You may not pay much attention to whether or not your device will withstand the rain, cold, or other environmental factors. Metal is ideal for building cases and support structures for anything that will build up heat or need to be protected from the elements. You must also build your frameworks so that they can shield your devices as much as possible from EMPs. Depending on your budget and interest in different kinds of equipment, melt scrap metal down and turn it into something else – everything from motor shafts to wire extrusions. Having the ability to forge and shape metal, will greatly expand your options for building power generation devices. Wires are every bit as indispensable for generating electricity as magnets. You will need wire to make coils, as well as for connecting smaller power generation modules together. Whether you look in the junkyard or at rusty cars in an abandoned lot – chances are the wire harnesses are still intact. These are usually good quality, heavy wire that can be used for many purposes. Even if you can’t use the motors or other parts of old appliances, it never hurts to snip the power cords and save them. Later on, you can always remove the rubber coating and use the internal wire for various purposes. If you are able to get access to the walls or under the floorboards, there is a good chance you will find electric cables. If they are coated in metal, you can always melt that metal down for something else. The wire inside might be best used for constructing earth batteries, or other areas where heavy wire will be of value. When it comes to repurposing gadgets to make electricity, you will only be limited by your imagination and determination. Remember the fundamentals of making something spin, and then turning that spinning motion into a way to make a magnet move in relation to a coil. Once you are able to induce current in a coil, there is truly no stopping you from progressing to a point where you can power an entire household and beyond without the need for expensive solar panels or relying on pre-made fuels. While this process requires time and effort, in the end, you’ll find it worth! Or you may find yourself looking for another reliable energy sources, in case of a blackout!